Is cork right for kitchen flooring ? 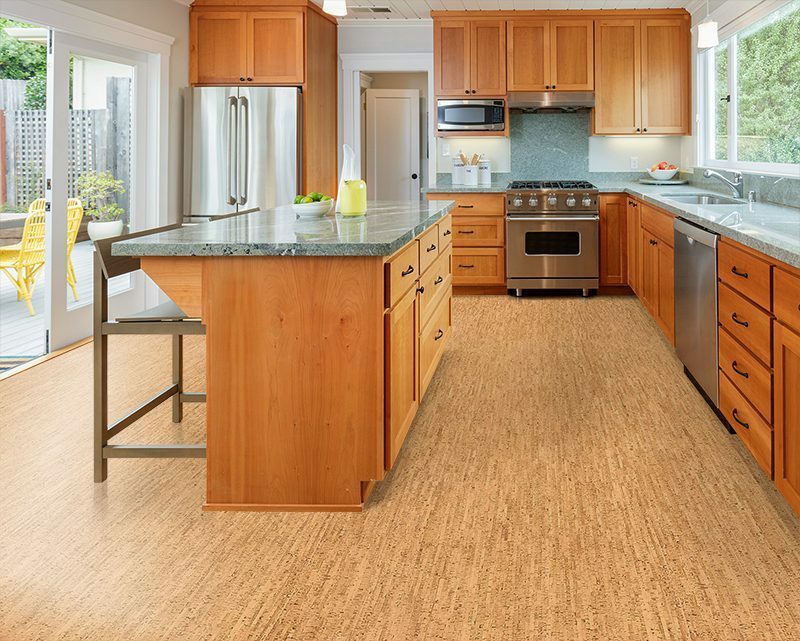 Through today’s technology, cork is enjoying its “Second Renaissance” as a flooring material. Yet the old myths, born mostly out of the ‘70s, still abound: Never use cork as the kitchen flooring. This mantra, most common among long-time contractors, is no longer applicable. Through industry innovations, such as High Density Fibreboards (HDF), water-based polyurethane and “Factory Finishes” cork is now well on its way to becoming a routine flooring material. 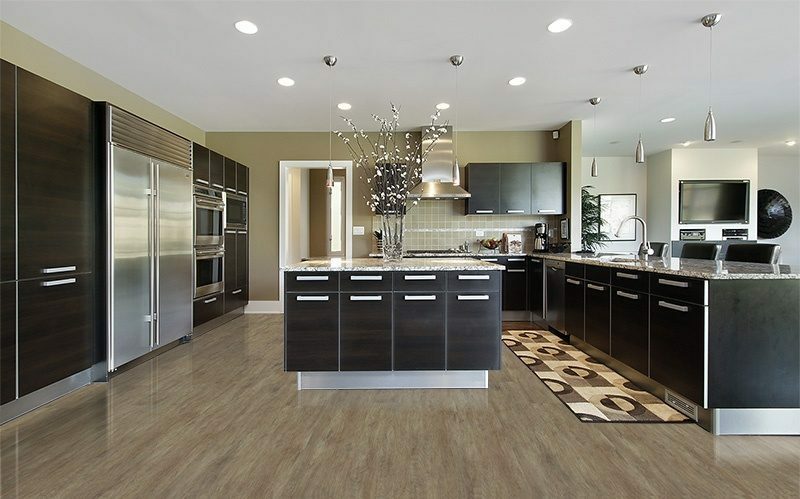 Unlike laminate floors, cork floating flooring can be laid as a kitchen flooring; thus removing the need to settle for vinyl, linoleum, porcelain or ceramic tiles for your kitchen flooring. Cork also takes the place of expensive “in-floor radiant heat” systems. The thermal insulation that cork offers is very much like a heated floor. You can save yourself both the cost and the trouble of installing heating coils or mats. 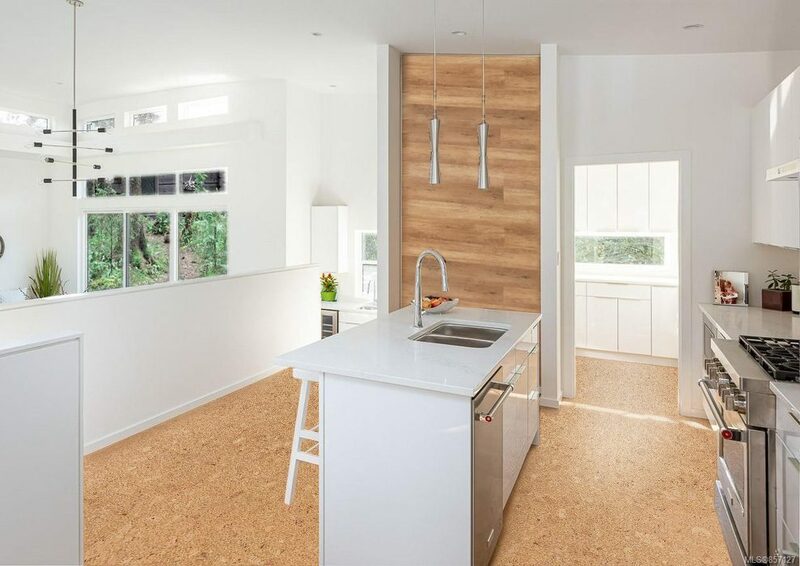 Cork flooring planks and click-together systems utilize the strength and durability of High Density Fibreboard (HDF) to construct the flooring system. 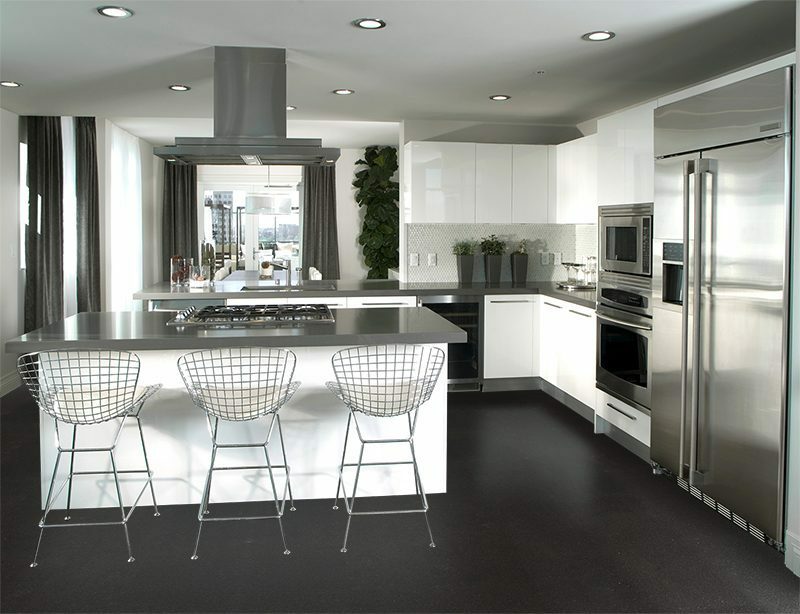 Whether cork tiles – squares or rectangles constructed out of 100% cork – or cork floating flooring, it is always wise to seal a cork floor when it is being used in a “wet” room such as a kitchen flooring. The polyurethane finish acts as a seal along the floor’s seams; protecting the subfloor (or the HDF layer if it is a floating floor) from moisture damage. 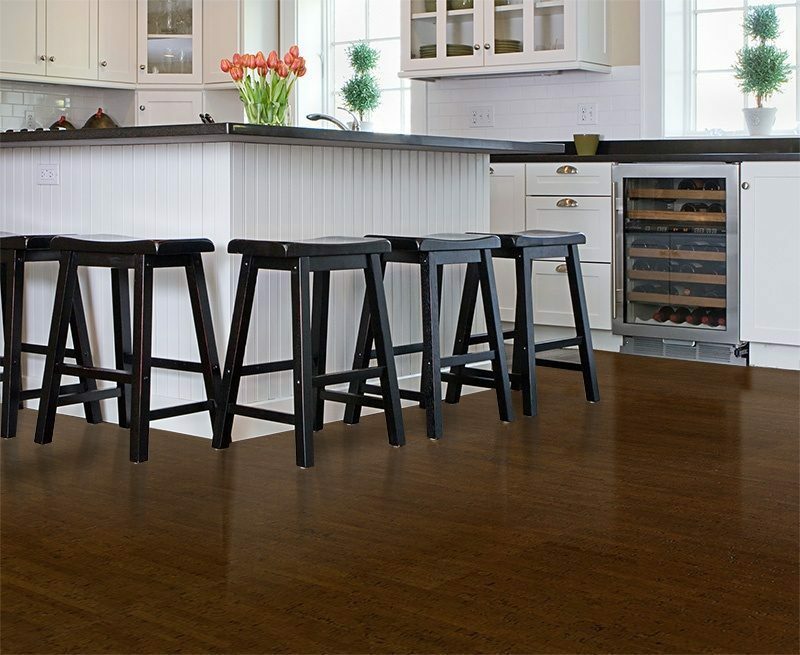 Cork flooring products now come in dozens of factory finishes and are ready to install. 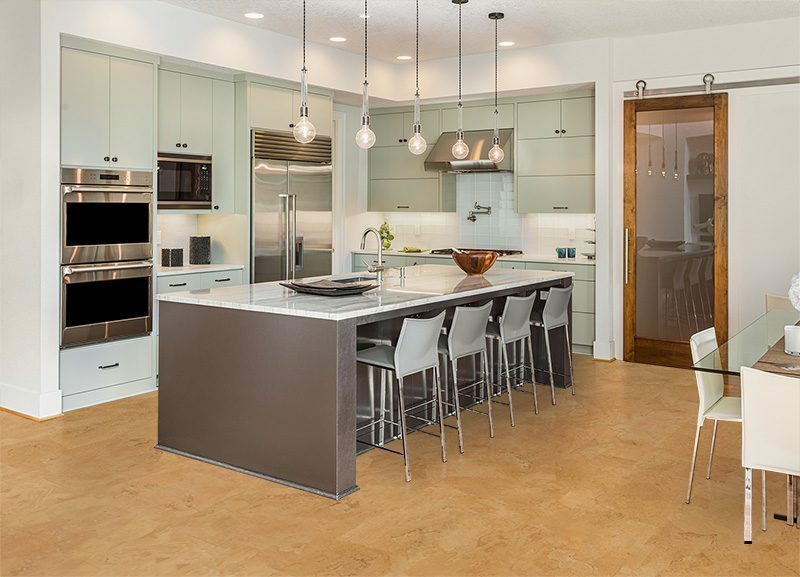 Cork Flooring, or floating flooring, is now to the same industry standards as laminate flooring; even utilizing the same patented “click-together” systems as laminate floors. Cork is a natural fit in the kitchen. It is comfortable to stand on for long periods of time (more like carpet than vinyl). It is great for people with pain syndromes, migraines or back/hip issues. Any issue with pain or joint concerns are put to rest with a cork floor. Another feature is the elasticity of cork. It can self-heal if pierced and can prevent “breakage”. A class or a cup will most likely bounce rather than shatter. This is a great way to save your favourite service from an early demise. Forna offer three different cork flooring options to choose from in Forna floating floors – square edge, bevel edge, Fusion cork flooring, with over 60 different patterns, colours and styles to select from. You can also purchase our cork kitchen flooring in Forna glue-down tiles. We have 4mm, 6m and 8mm sizes.